I've had my fair share of handmade soaps but this is definitely one of the best! Our organic skincare products are 90% to 100% vegan using only quality ingredients sourced from plant-based materials. Products that are less than 100% vegan contain ingredients of animal by-products only such as beeswax, honey, milk from cows or goats, and yogurts. We do not use lard or tallow in our soaps and other products. All Earth Care products are strictly against animal testing. 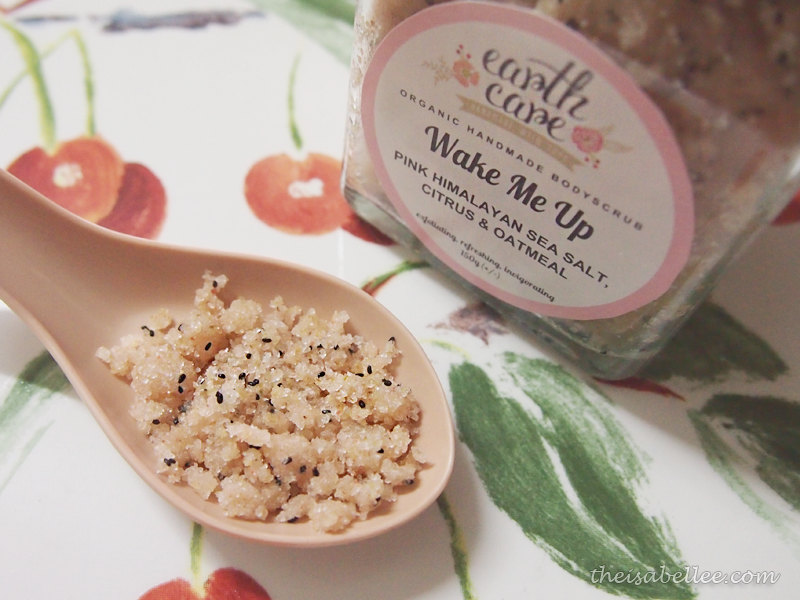 A refreshing blend of Pink Himalayan Sea Salt, organic steel-cut oatmeal and citrus (sweet orange, lemon and pink grapefruit essential oils). If you like the scent of citrus, you will LOVE this! When used externally, Pink Himalayan Sea Salt stimulates blood circulation, lowers blood pressure, soothes muscle aches and removes toxins from the body. It's just rough enough to scrub away excess dead skin while oatmeal replenishes the moisture and the citrus fruits fight acne skin. Ingredients : Pink Himalayan sea salt, coconut oil, sweet almond oil, grape seed oil, vitamin E, glycerin soap base, colloidal oatmeal, basil seeds. Essential oils (sweet orange, lemon, pink grapefruit). 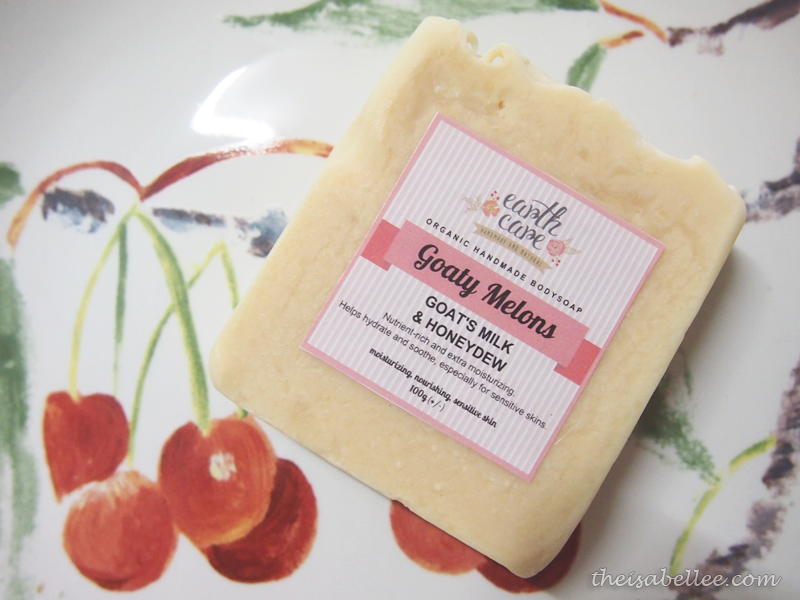 Goat's milk is full of nourishment and helps moisturize skin while um.. honeydew is yummy. Smells really nice as well; mostly lemongrass. 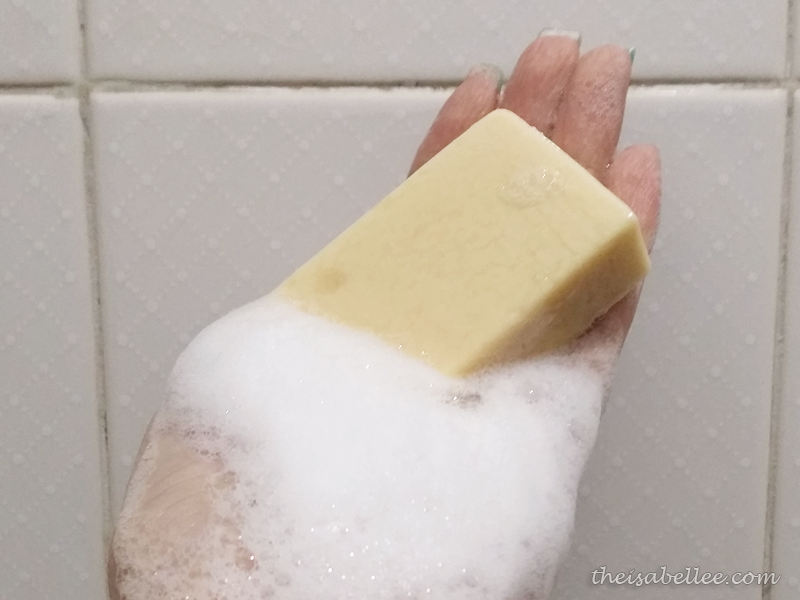 I was actually really surprised that this soap cleanses even better than the handmade soaps I've tried previously and Brand X liquid soaps which I purchased from the supermarket. Although it removes dirt well, my skin is still kept hydrated. Magic! Soaps are superfatted at 5% with sweet almond oil for extra moisturized, soft and smooth skin. I recommend you to cut this up into halves or quarters to be used in the shower. Get a container for it to sit in to dry and do not submerge in water. 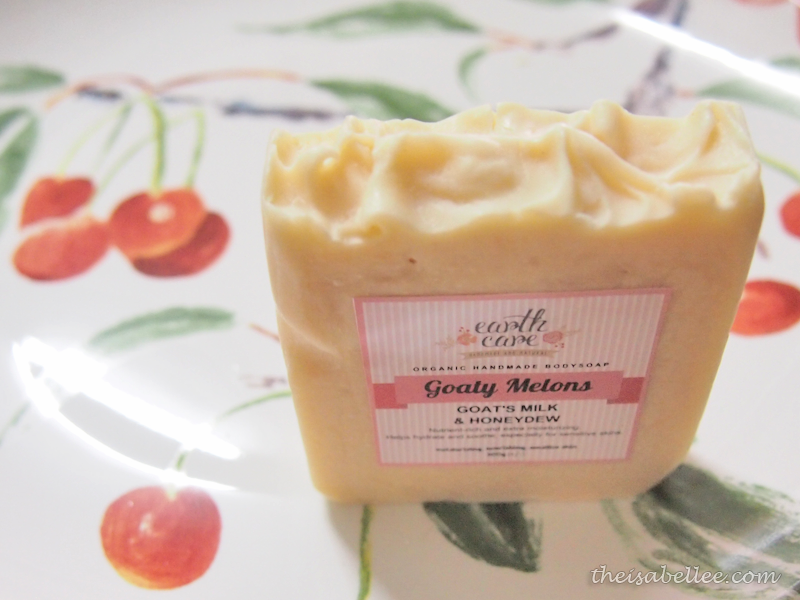 Goaty Melons produces a good amount of lather that is creamy and rich. I love using it everyday. 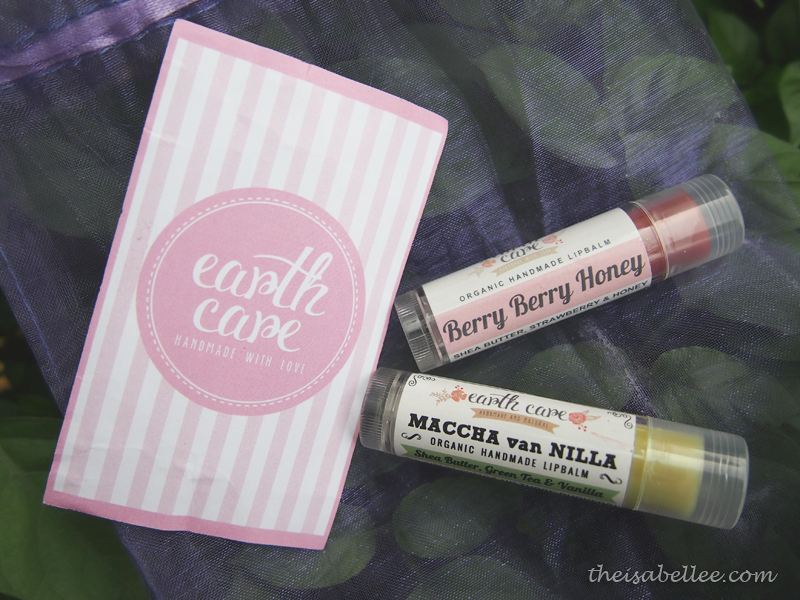 The range of lip balms caught my attention because of the shea butter content, which is well known to have great moisturizing properties. 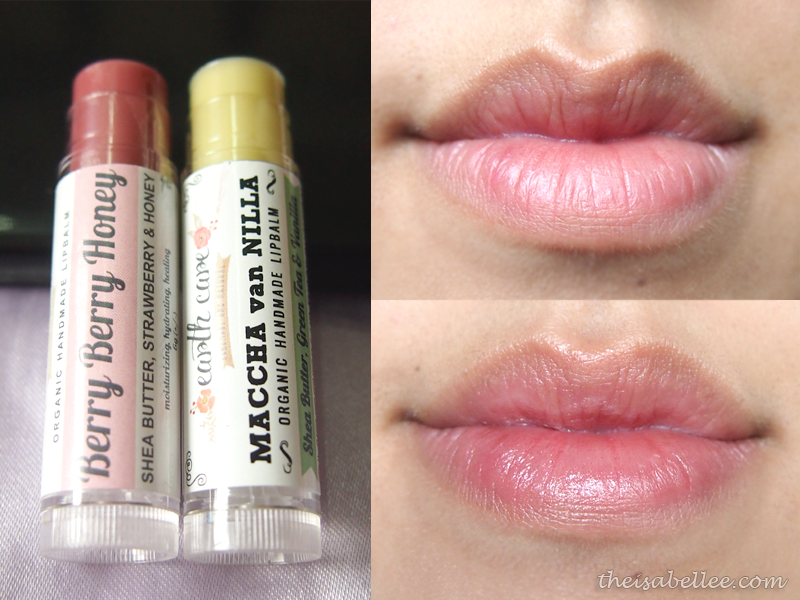 They not only moisturize your lips but protect them from UV rays as well. Smells just like green tea and vanilla! Reminds me of a Starbucks drink. Ingredients : Unrefined shea butter, avocado oil, coconut oil, sweet almond oil, beeswax, vitamin E, green tea powder. Fragrance oils (vanilla). It's supposed to be strawberry but it smells like a yummy blend of berries. No complains at all because I love berry scents. Ingredients : Unrefined shea butter, extra virgin olive oil infused with purple gromwell, avocado oil, sweet almond oil, beeswax, vitamin E, organic raw honey. Essential oils (strawberry). Out of the 2, my favourite is Berry Berry Honey but that's just because of the smell. They're both equally as moisturizing. 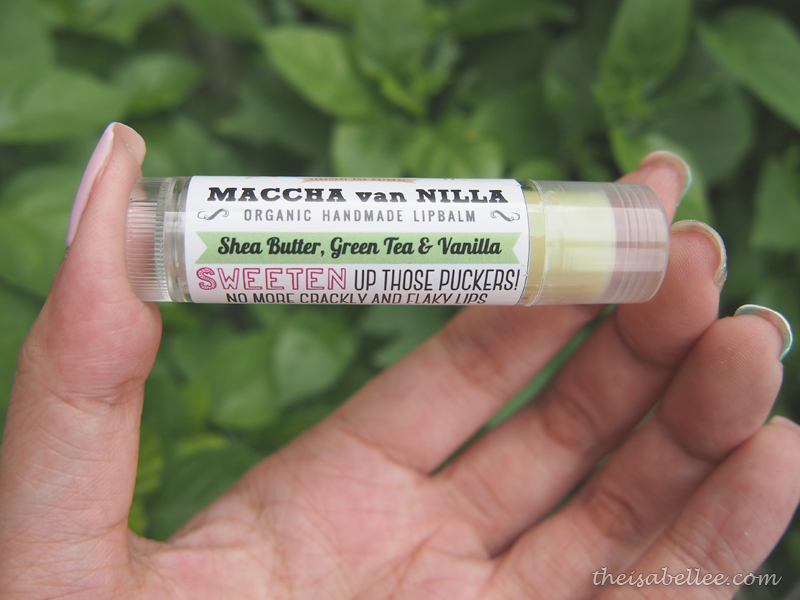 The balm melts slightly when in contact with lips and spreads a loving layer onto lips. It doesn't feel oily and works under lipstick. 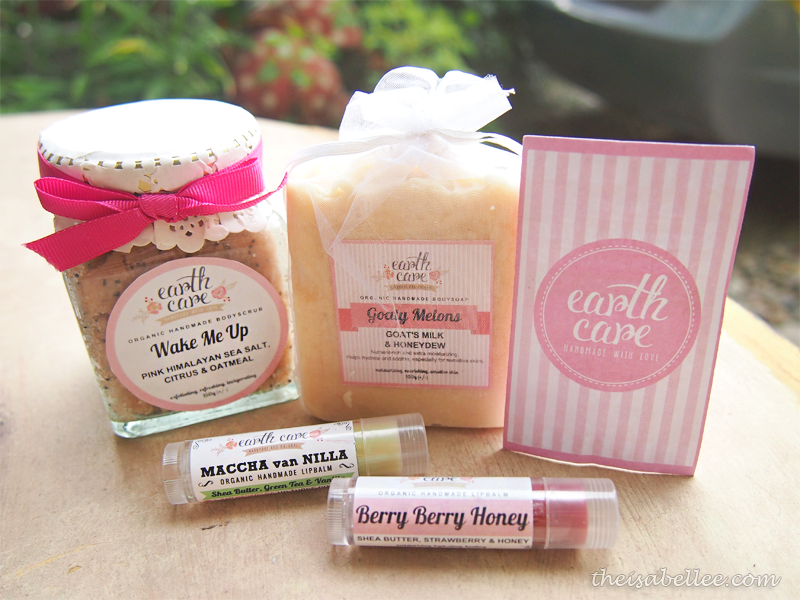 I would like to get either the bubblegum berry or the naturalist soap. So undecisive! and for the scrub, I would like to get Asian Romance body scrub. 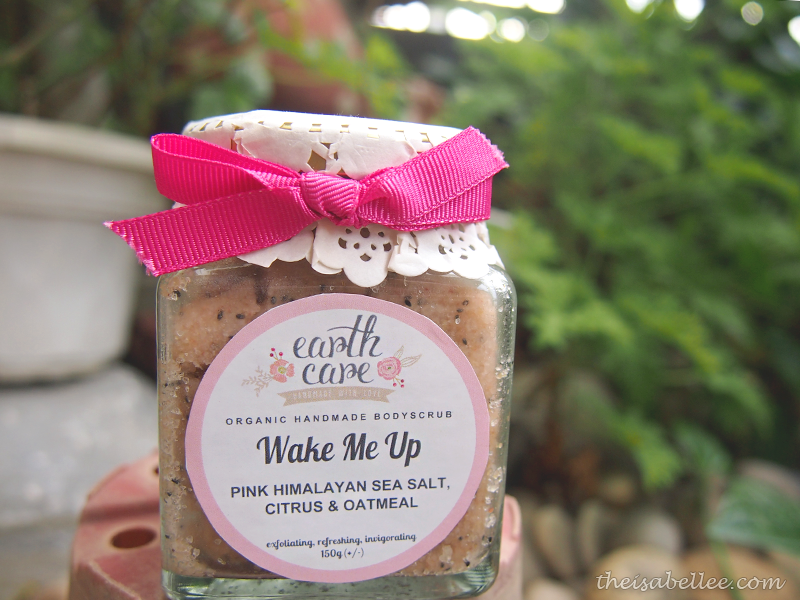 If I have the chance, I would like to own 'Wake Me Up' Organic Handmade Bodyscrub because i loveeeee citrus scent.. Handmade soap! I like rich and thick lather foam that doesn't dry the skin! Hi I actually got attracted by the SUPER RICH foam of Earth Care Goaty Melons Organic Handmade Bodysoap on your hand!It looks super promising and smooth enough as Goat milk itself will never go wrong! I also love their lovely packaging as well..! Goat Milk Soap looks super yummy to me!! It looks like a piece of cake omg!